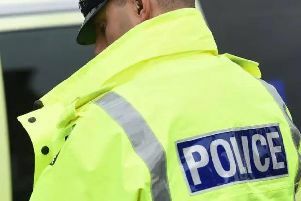 Police are warning Warwick residents to be aware after reports of a bogus parking charge incident. The Warwick Central Safer Neighbourhood Team (SNT) want to make residents aware of the incident, which happened last week. Kilnsey Grove. Photo by Google Street View. According to the SNT at around 10.20am on Thursday March 14 a woman, who was a hospital worker, parked her car on Kilnsey Grove in the Woodloes Park area. She was then approached by a man in his 20's - wearing a fluorescent yellow jacket - who asked her for money in order to park there. He is described as being 5'6" - 5'7", slim build, white, blue eyes and was wearing a hoodie with grey tracksuit bottoms. When challenged on why there was a parking charge he said "other hospital workers have been paying to park in this road". The safer neighbourhood team said that the woman moved her car to another location as she felt afraid something may happen to her vehicle if she did park in Kilnsey Grove without 'paying'. If anyone has any information about this incident they should call Warwickshire Police on 101 and quote incident number 94 of March 14.